Stimerex®-ES (Extra Strength), with its distinctive black diamond-shaped tablet, is a Hi-Tech weight loss and energy enhancement supplement – highly recognized for its unrivaled mega energy boost and is available to help anyone needing to lose weight. 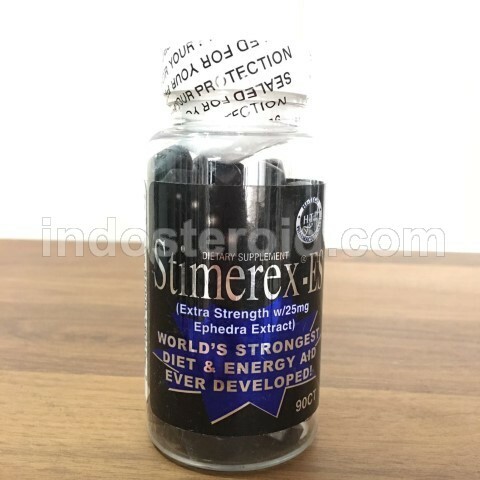 Stimerex®-ES contains 25 mg Thermo-Z™ brand ephedra extract with an energy core that revolves around a fine-tuned configuration of Hi-Tech’s Thermo-Rx® stimulant-based phenylethylamine alkaloids from Acacia rigidula. The entire host of the select ingredients in Stimerex-ES® have been incorporated specifically to accomplish one primary goal, which Stimerex®-ES accomplishes better than any other energy-boost product. Stimerex-ES® is designed as the Diet & Energizer. Stimerex®-ES will have you flying wide open with energy and helping you get shredded!